We also offer Certification and Training courses in Auckland, New Zealand for: Lean Six Sigma, Design for Six Sigma, Green Process Management and Minitab. New Zealand’s unemployment rate has recently seen an increase and has dropped to almost 6.3 percent, but the employment ratio could not keep up with the massive number of people migrating to the region for better job opportunities, and even though it still stands strong, there is still a good amount of unemployment in the region still. The number of people employed annually rose up to a substantial degree while Auckland remained one of the biggest contributors to the employment growth on a national level. New Zealand has experienced a sustained level of migrations which could potentially drive stronger employment outcomes and bigger spending. In a market that has many global and international organizations employing individuals based on their skill sets, a candidate needs a little more than their competitors to make the final list. While getting hired can be tough in any industry where there is an intricate business eco-system running, a Lean Six Sigma certified individual can easily manage to stand apart from the competition. and, achieve the project’s target within the designated time. This leads the employees to ultimately and effectively reduce the company’s expenditure and associate costs, along with enabling them to use the company’s resources in the most effective way. The potential of the Lean 6 Sigma training program can easily be recognized in Auckland, New Zealand, where the job market presents more opportunities than any other city in the national market. While there are still a massive number of jobs waiting to be filled, the number of candidates that are seeking the job opportunity is almost equal as well. In any expanding business environment, individuals need to have some expertise that can make their skill unique in the eyes of the employer. Why You Should Become Lean Six Sigma Certified? When any candidate goes through the Lean Six Sigma Training, they send a positive message to the employer before even meeting them. A Lean 6 Sigma Certificate indicates that the individual is proactive and willing to take the charge in any business procedure to come out with the stronger odds. Additionally, the employer will also understand that the individual possesses a set of skills that can mutually benefit the organization and the candidates themselves. A Lean Six Sigma Certified individual certainly has the skills on their resumé to stand apart from the rest of the crowd and make their presence felt. The Regus office space is located on the 33rd floor of the ANZ building which is one of Auckland's most recognisable landmarks. The centre offers premium A Grade work space and has recently undergone an extensive refurbishment, making the building one of Auckland’s most sought after CBD addresses. 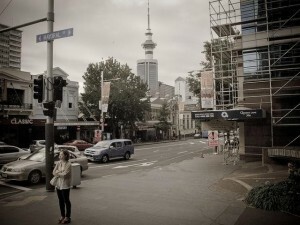 The centre is a short walk to the Viaduct, Queen Street or Wynyard Quarter and has easy access to motorways and is well serviced by public transport. The centre provides an impressive street perspective and expansive views across the Waitemata. 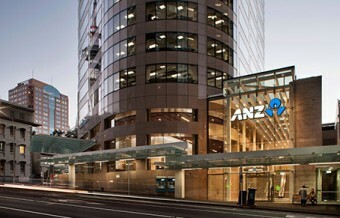 ANZ centre is home to some of the most recognised businesses in New Zealand, including major financial institutions, lawyers and insurance companies. The centre offers first-class on-site facilities and amenities including restaurants, retail facilities and banks. The ANZ centre offers a perfect solution for local and overseas companies looking for flexible and fully-equipped offices with comprehensive services at a reasonable price.